As I stand over Pandemic The Magic Bicycle at just past midnight, the dark tranquil mountain air is alive with the sounds of barking dogs. A chorus of alarm has been set off in the sleepy Tibet police town of Yanjing, the first police check point into Tibet. Foreigners are not technically allowed to come down this road hence my nighttime duck and cover, drive by technique. Therefore, the canine chorus is awake and on duty as I proceed under the barricade amongst a forest thick echo of barking, chasing and howling dogs. I cross deeper into Tibet, squeeze my horn, make noises with my water bottle and the dog pack moves on to other activities. These dogs are as motivated as dogs gets hence the perfect trial for all dog safety cycling techniques I can come up with. Top 5 Ways to Deal With Dogs While Cycling? • The rock technique. Throw rocks. A lot of dogs have not been treated all that well therefore throwing rocks at the ground near them will scare them off. I do my best to not actually hit them. • The swing a water bottle technique. Water bottles make excellent weapons of defense to swing around, num chuck Bruce Lee style and call off the chase. The noise the plastic makes at times is enough to do the trick. • The chemical canine warfare technique. Attach pepper spray to the handle bars and if the dog gets too aggressive just spray them and temporarily blind the little buggers. However, prior to turning the dog neighborhood into a Helen Kellar camp you might want to make sure the dog is actually trying to bit you not just chase you for fun. Also, I have heard this technique can easily backfire in the wind and get in your own eyes instead rendering a possible blind ground battle to deal with. • A baseball bat? 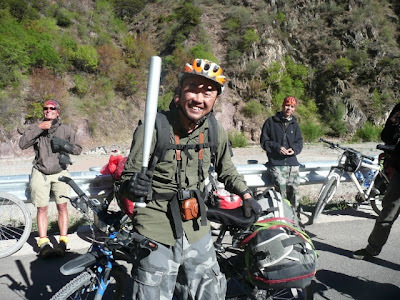 A fellow cyclists, I met on the road into Tibet after having read about aggressive dogs and bicycle touring decided to bring a baseball bat. 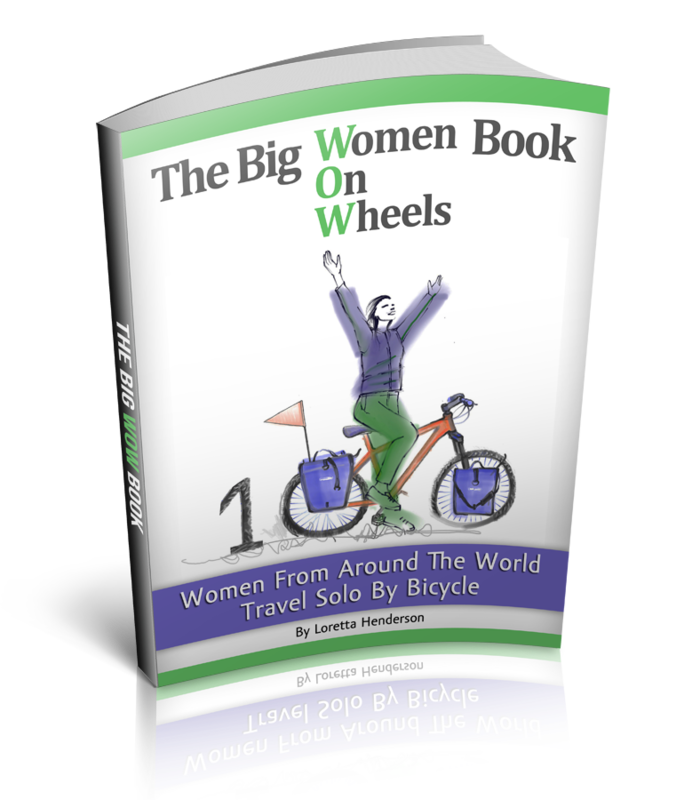 A great idea for anyone who has ever been chased and bit and well worth the empowering benefits to overcome the fear. • My personal favorite is the gratitude technique. Cycle past psycho dog and say hello, thank you for letting me pass and not biting me. I actually lift my legs while saying this over and over. Perhaps it is half prayer and half personal mantra but so far the canine community has been remarkably supportive. We found carrying snacks for them was enough to make them chase that instead. Manny is multi useful with dogs, he talks sense to them, in a very clear way! Love the mantra, sounds like something I would do.